When will be Brothers Take New Orleans next episode air date? Is Brothers Take New Orleans renewed or cancelled? Where to countdown Brothers Take New Orleans air dates? Is Brothers Take New Orleans worth watching? In Brothers Take New Orleans, Jonathan and Drew take their fierce competition on the road when they battle it out in the Big Easy. These talented twins take on their biggest challenge yet when they're asked to work side-by-side in traditional "shotgun" houses in the heart of New Orleans. With just four weeks and $100,000 each in their pockets, the stakes are higher than ever as they compete to increase the value of their homes and restore these historical gems to their former glory. The competition heats up for Jonathan and Drew Scott when Hoda Kotb from "The Today Show" comes down to The Big Easy to judge their kitchen spaces. Drew has a modern take on NOLA design as Jonathan takes a vintage re-mix approach. Jonathan and Drew must pull out all the stops to make sure that Ben and Erin Napier from HGTV's "Home Town" choose their designs as the winner of this week's challenge. With two bedrooms and two bathrooms to tackle, they've got to get down and dirty to hurry and finish the inside of these homes. At the end of this week's competition, the winner is announced at a local jazz club. 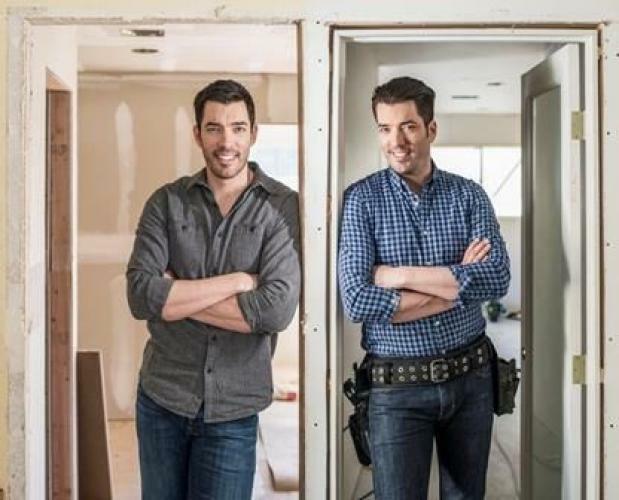 Jonathan and Drew Scott's competition to renovate two homes in New Orleans is almost complete as they tackle the exterior of the building together. Once complete, their individual renovation expertise is evaluated when local real estate appraisers and experts come to assess who has added the most value to their home. Brothers Take New Orleans next episode air date provides TVMaze for you. EpisoDate.com is your TV show guide to Countdown Brothers Take New Orleans Episode Air Dates and to stay in touch with Brothers Take New Orleans next episode Air Date and your others favorite TV Shows. Add the shows you like to a "Watchlist" and let the site take it from there.